so i thought i would make a new dress to wear for graduation tomorrow...have to have someting to look forward to. anyway i bought this great fabric from Denyse Schmidt called Katie Jump Rope - Daisy Bunch, Geranium, from Cia's Palette. 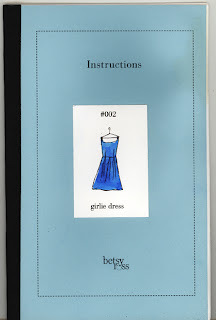 i had this great girlie dress pattern from betsy ross. i made some adjustments making the straps a bit wider to pass the dress code. i really love following betsy ross patterns. they are very user friendly with room for adjustments...plus you follow a simple step by step book with hand drawn illustrations !